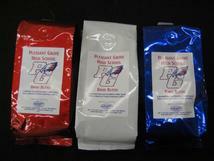 Support Pleasant Grove High School Band by purchasing bags of coffee, personalized with the PGHS school logo and freshly roasted just days before you receive them. The coffee comes in four amazing blends, including decaf, in 3/4 lb. bags in PG colors. You can choose from whole beans or ground coffee. Perfect for holiday guests and gifts. This fundraiser will be in the fall at the same time as Butter Braid. Yum! Butter Braid is a delicious frozen pastry product that comes in 7 flavors. Perfect for breakfast, dessert, or snack. Band students will possibly be selling this product in the fall. Look for order forms coming home. If you want to order and don't know a band student, please contact us at pghsbandboosters@gmail.com.